It is no secret that I love crisps, it is true what they say, once you pop you just can't stop. 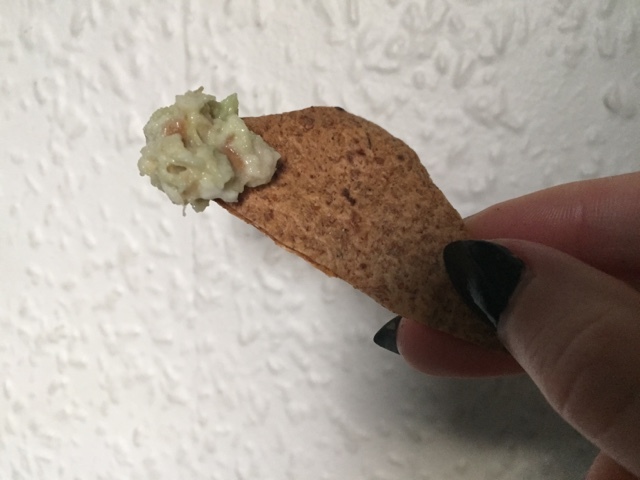 They were always my go to snack but the salt content alone makes them a not so healthy choice. So what's the alternatives? 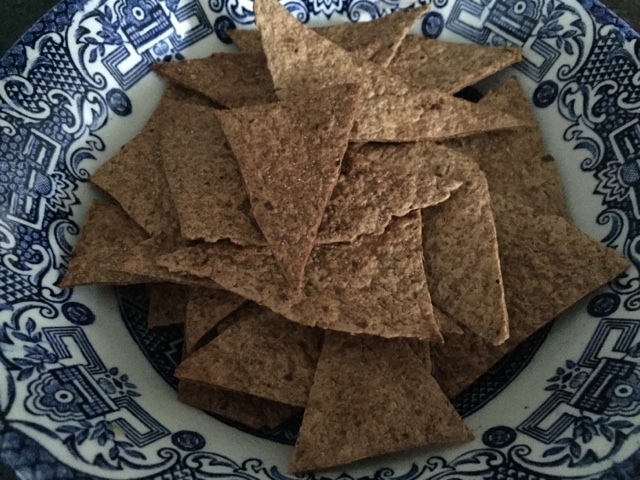 Well making my own seemed like a good choice so I'm sharing with you my quick and easy recipe for homemade wholemeal tortilla chips. 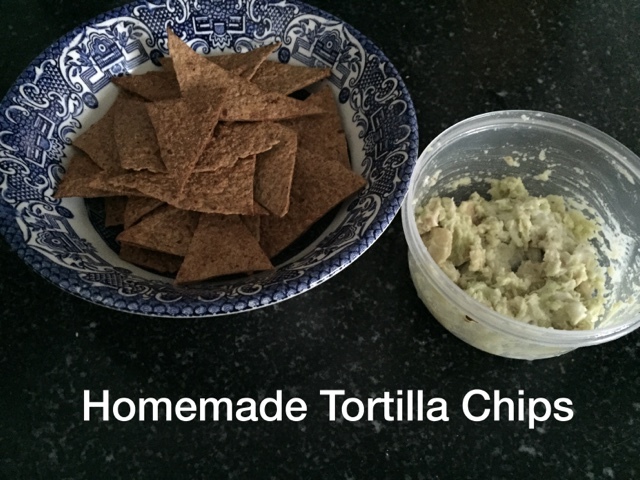 These crisps are wonderfully crunchy, low in calories and because all you need is two ingredients they are a great deal cheaper than a normal packet of crisps too. * Preheat your oven to 180ºc. 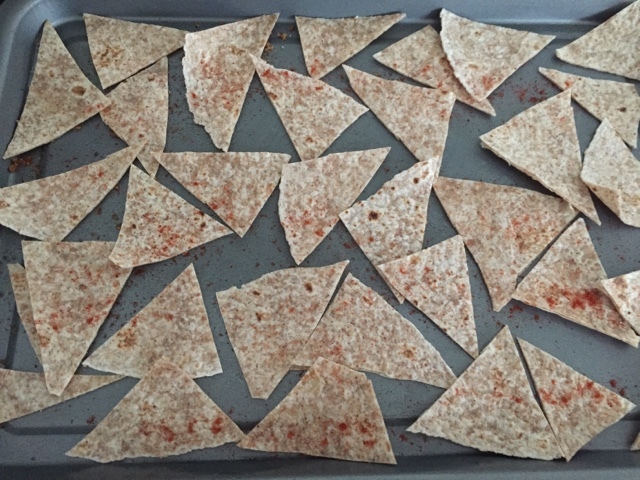 * Cut your wrap into triangular shapes (or other shapes if you wish). * Spread out on a baking tray and sprinkle a small amount of salt over the top of them. * Bake in the oven for around 6 minutes. * Turn over and sprinkle a little salt on the other side, place bake in the oven for a further 6 minutes. This gives you enough for a single serving. 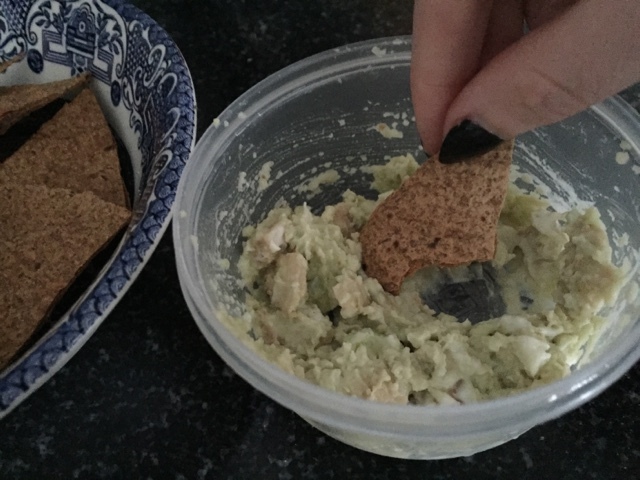 I made a dip with avocado, mayo and garlic to accompany mine. A crispy treat that is actually fairly good for you. If you fancy spicing it up you could always sprinkle a bit of chilli powder on before baking.